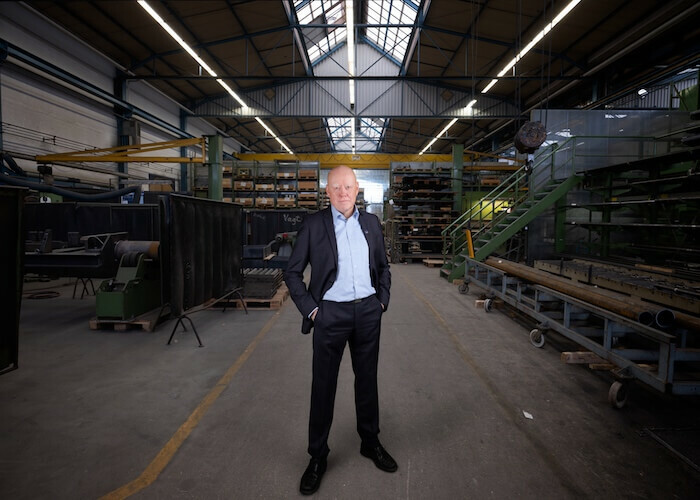 Nagel arrived at Claudius Peters 26 years ago and has embraced the potentially contradictory roles of operations director and chief digital officer. He has championed changing with the times when many long-term Claudius Peters managers resisted. The Claudius Peters headquarters sits in suburban Buxtehude outside of Hamburg, Germany. Courtesy Claudius Peters. Claudius Peters first adopted digital-design tools in 2007. Ten years later, Nagel attended the 2017 Autodesk University conference and was intrigued by emerging generative-design technology. “We started a test with generative design without having a real plan or a clear goal,” Nagel says. Just one year later, Claudius Peters was recognized as 2018’s Innovator of the Year at Autodesk University for its accomplishments in generative-design adoption and its innovation journey, an initiative dubbed “Inspired Excellence.” The initiative’s major goals include increasing customer satisfaction, delivering higher quality, and reducing lead times and costs. 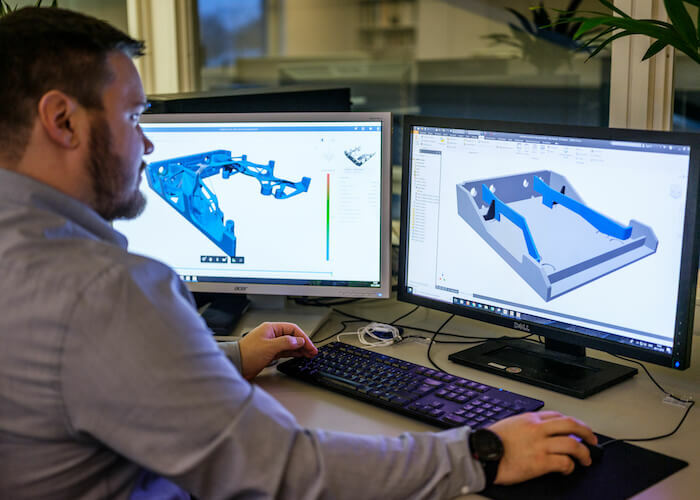 For their initial generative-design test, the company’s designers focused on a large cast-metal part that was expensive to manufacture and heavy. After a four-hour training, Nagel’s engineers designed a substitute part that would be 25 percent lighter. 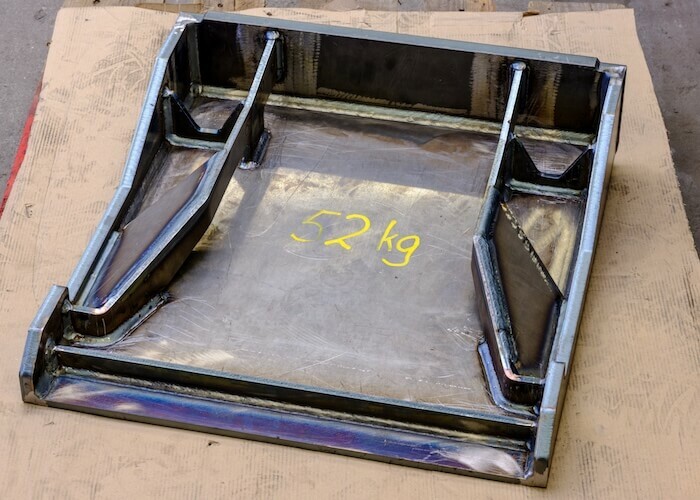 Finite Element Method (FEM) analysis showed that the new part, made from welded laser-cut plates instead of being cast, would be stronger, simpler, and more cost-efficient. 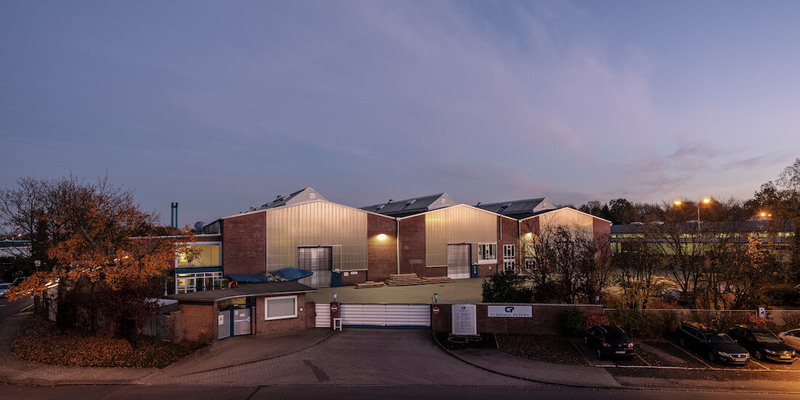 The scale of the operations supported by the company’s products is crucial to understanding the impact of Claudius Peters’ technological shift. It also helps to know a little about cement-making—a hidebound industry dating back to the Roman Empire. 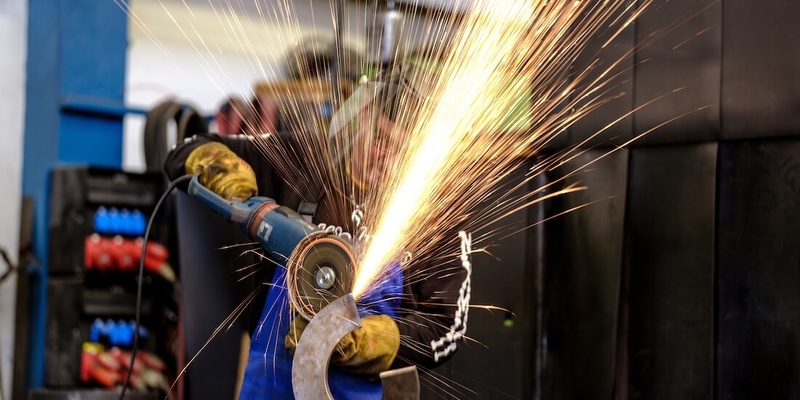 To get started on its generative-design project, Claudius Peters‘s staff chose a part to improve upon that was large, heavy, cast in metal, and expensive to manufacture. Courtesy Claudius Peters. The team then took the solution produced with generative design and reverse-engineered it to be manufactured with traditional methods. Courtesy Claudius Peters. The resulting part was much lighter and easier to manufacture. Courtesy Claudius Peters. Only one year after first exploring generative design, Claudius Peters won an innovation award at Autodesk University for its adoption of the technology. Courtesy Claudius Peters. To make cement commercially requires producing massive quantities of molten stone called “clinker.” The process requires enormous amounts of energy and a very large physical plant. The clinker must be cooled to about 90 degrees Celsius to produce the finished product. Claudius Peters’s ETA Cooler can process as much as 13,000 tons of clinker per day. The machine can be 50 meters long and 25 meters wide—approximately half a football field. The fabrication process used to make the cooler involved machining metal to produce massive parts, such as the cooling “lanes” through which the hot clinker flows. 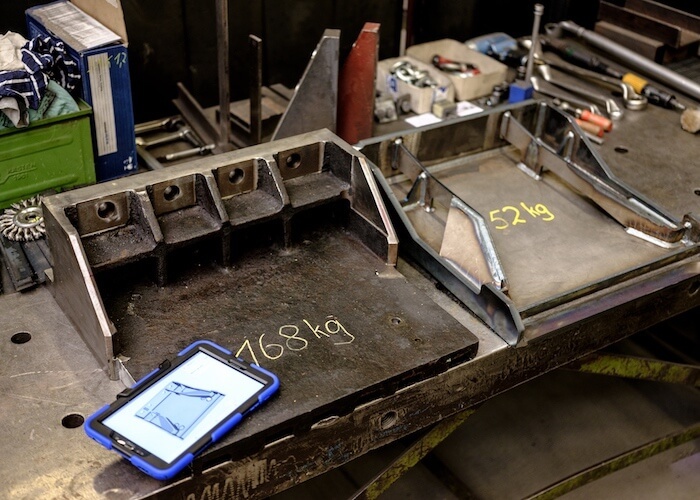 Using Autodesk Inventor and FEM analysis, an interdisciplinary team developed a smarter, simpler way to manufacture cooling lanes in hours instead of days. “We no longer have to machine the lanes but now achieve quality by joining and welding them together,” Nagel says. Given the heat required and the scope of the process, it’s no surprise that the cement industry accounts for large volumes of greenhouse gases. In fact, cement production contributes 8 percent of global carbon-dioxide emissions. While addressing its carbon footprint was not Claudius Peters’s primary driver for reengineering, the redesign did achieve large improvements in thermal efficiency that help reduce negative environmental impacts, Nagel says. The company’s innovation strategy requires an open-minded internal team, a good network, and strong partners. “If we continue our journey with partners like Autodesk, we will avoid extinction and/or disruption and can stay competitive in the market,” Nagel says. Here, he lists five critical steps along the company’s path to Inspired Excellence. Transforming Claudius Peters into an agile company required—and still requires—developing new digital skills and culture. Claudius Peters Operations Director and Chief Digital Officer Thomas Nagel started with the company 26 years ago. Courtesy Claudius Peters. Claudius Peters has refreshed its culture of innovation by drawing on a youthful talent pool. German engineering programs typically require a 20-week internship at a firm to obtain a degree, and Claudius Peters maintains close ties with technical universities in the Hamburg area, often hiring interns upon graduation. “We hire interns, and they are with us maybe 15 to 20 hours a week, alongside their studies,” Nagel says. Even interns can be change agents. Small projects showcase their technical skills—and encourage real initiative. See Thomas Nagel speak about generative design at Autodesk University. 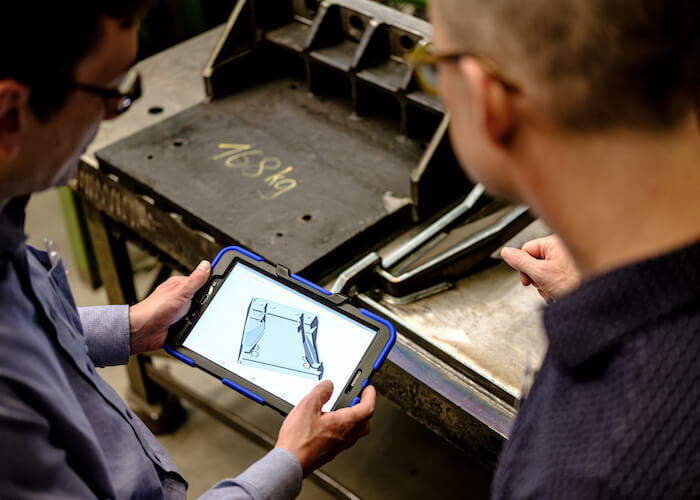 Thomas Nagel discusses the convergence of design and manufacturing at Autodesk University. One of Nagel’s innovation principles is recognizing that adopting new tools and methods won’t necessarily be compatible with legacy business processes. “The invention of the electric light was not an improvement of the candle,” he says. Adopting generative design is an initiative that’s an entirely new competency, hopefully leading to technological leaps that solve entirely new problems. “We are also testing computational fluid dynamics (CFD) to explore how we might optimize pressure drops in our plants, possibly saving power consumption on the fan or motor,” he says. Many of Claudius Peters’ innovation projects are internally driven, but some focus on customer priorities. Adapting to those external requirements is another innovation goal. Meeting client objectives for sustainable business practices is one priority.